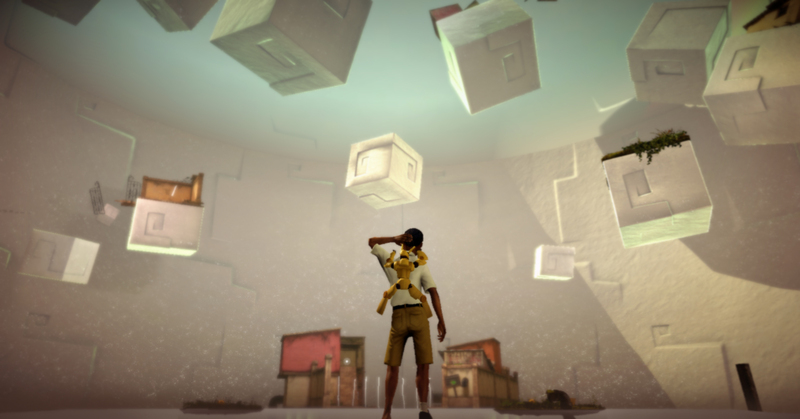 Papo & Yo first launched as a PlayStation Network exclusive, garnering much critical praise for its approach to telling a dark, personal story through a bright and colorful adventure game in a way that is unusual in gaming. 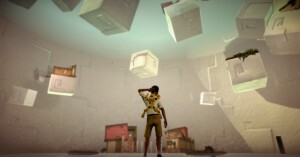 The game is a metaphor on the cost of alcoholism, telling the story of a young boy who grew up with an alcoholic father. “I decided we have to be responsible and actually bring these backstories into the games that we make. Maybe it’s not going to be for everyone, but it might speak to a few people who feel the same way. And I think that independents have to fill that hole.” stated designer Vander Caballero on his decision to make a game influenced by his difficult childhood years he had due to his father’s issues with alcoholism. Papo and Yo has been recently released on PC complete with new graphics, controls, cinematics and character animations. It is an imaginative portrayal of a young boy’s struggles and a worthwhile and special experience. 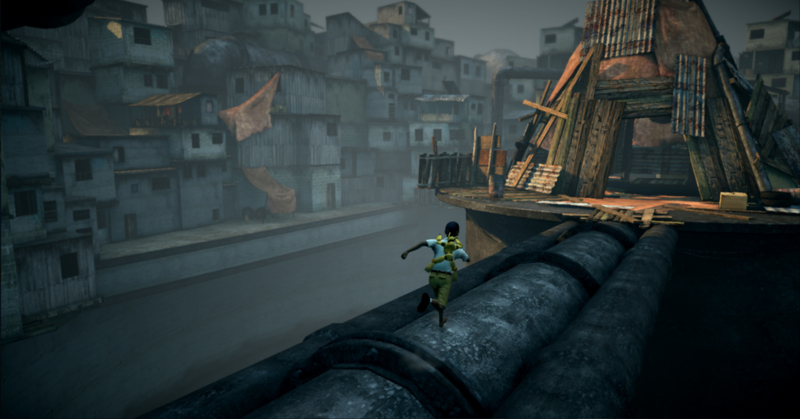 Even though Papo and Yo is taking place in an environment that visually draws on third-world poverty, there’s no sadness. There’s a sense of magical realism in the game that seems to cherish the way that imagination turns the world into a playground while the phenomenal acoustic music really brings the imaginative world to life. Speaking of music it feels familiar, but also magical and not of this world. The composer has used over 30 different instruments, delivering fine Brazilian rhythm,Cuban, and African tunes that feel right at home with the game’s environments. 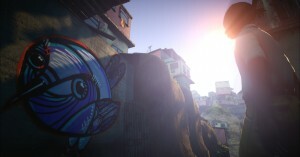 The game takes place in an unspecified Brazilian favela which the player has to navigate. The player takes on the role of Quico, a young boy who has run away from his home to escape his abusive and alcoholic father. Quico has the ability to turn the environment into a magical and dream-like world. Quico is accompanied by mysterious girl that seems like a guide, or a clever tutorial for the game, but she becomes so much more in the later parts. Quico also has a little robot friend named Lula, who hangs out on your back, and can help you jump across large gaps, or fly to objects that you could not reach. 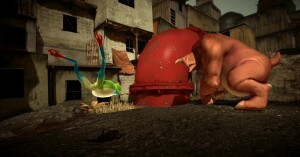 Then there is Monster who will follow you around, help you get to objects, step on switches, etc. Monster loves coconuts, and you can use coconuts to your advantage to reach your goal. If you pick up a coconut, Monster will follow you to get it. This is a great way to lead Monster to a switch to stand on. If Monster eats too many coconuts, he’ll go to one of his resting spots, and fall asleep. When Monster is asleep, Quico can use Monster’s belly to jump to higher areas, and unlock a switch, or pull a lever, etc. The bad thing is that Monster has an adiction to to frogs. After eating a frog, Monster will become enraged, and start attacking Quico. Quico must find a blueberry (that’s what it looked like to me anyway), and feed it to Monster, so that way Monster will pass out, and be normal again after waking up. You’ll soon find out that the plot of Papo & Yo is to get Monster to a Shaman, and help cure Monster’s addiction to the frogs. 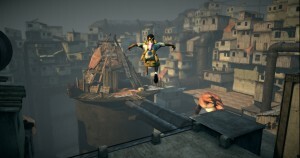 The gameplay style is specific towards people who enjoy the pure elements of a platformer, the playthrough is entirely unique as it combines puzzle elements that fit together perfectly and a style that is both original and entertaining. 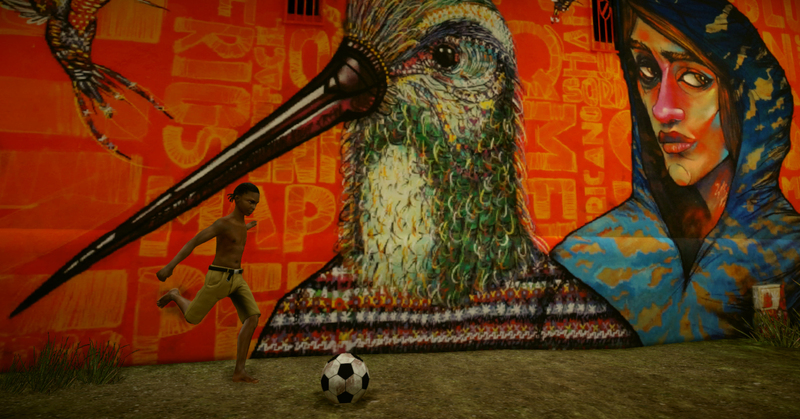 Even with these elements Papo & Yo is more of a narrative which uses a gameplay interface in order to give us the opportunity to get lost in the game’s world. 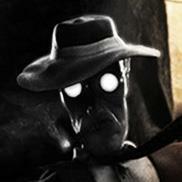 Puzzles in the game will involve Quico turning keys, pulling levers, and so on. Some cooler puzzles involve picking up boxes, or pulling a chalk-like string. The boxes represent houses in the world, and when you pick up a box, you’ll also be lifting a house. You’ll use the houses to help you get across large gaps, that Lula couldn’t even boost you across. As for the string puzzles, is something you have to experience for yourself. The platforming is very standard, with having you jump on blocks, and running across floating objects in the world. Overall puzzles and platforming aren’t overly complex, but watching the world transform around you keeps the gameplay fresh. Everything in the game is presented from a child’s perspective. Hints come drawned in the inside of a box that you have to wear in your head in order to be able to read it, while the switches and the keys you are going to need look as if they were designed by a child holding a chalk. 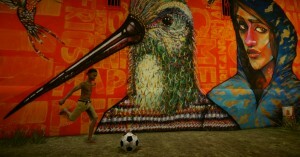 The game is on the short side lasting no more than hours but as we have already said Papo & Yo is a special case of game. Its core mechanic is the emotional culmination until the grand finale. 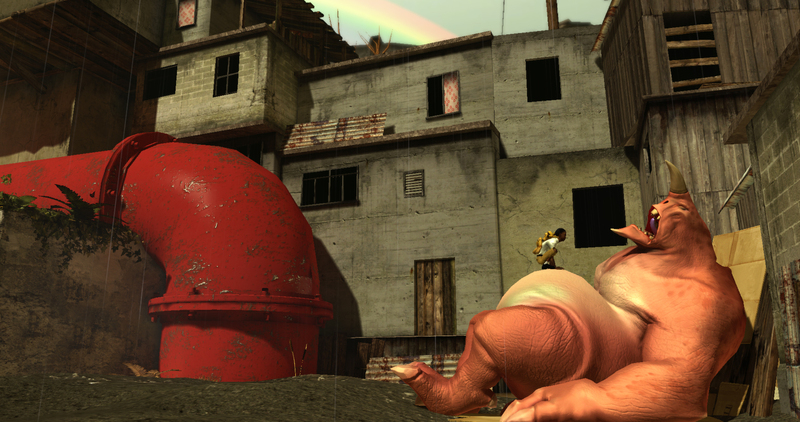 Papo & Yo deals with serious and mature themes, yet deals with them in creative, original, and imaginative ways. The story is heavy with metaphors, yet it maintains innocence in its character study. 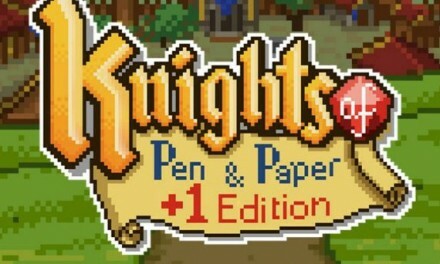 This is definitely one of the most unique, emotional story-driven puzzle/adventure games you will ever play. Those interested can purchase the game from here.